Products containing petroleum. Petroleum jelly (top right) is used as a topical ointment and lubricant. It contains benzene is an organic chemical compound that is known as a carcinogen. Many health and beauty products contain petroleum. 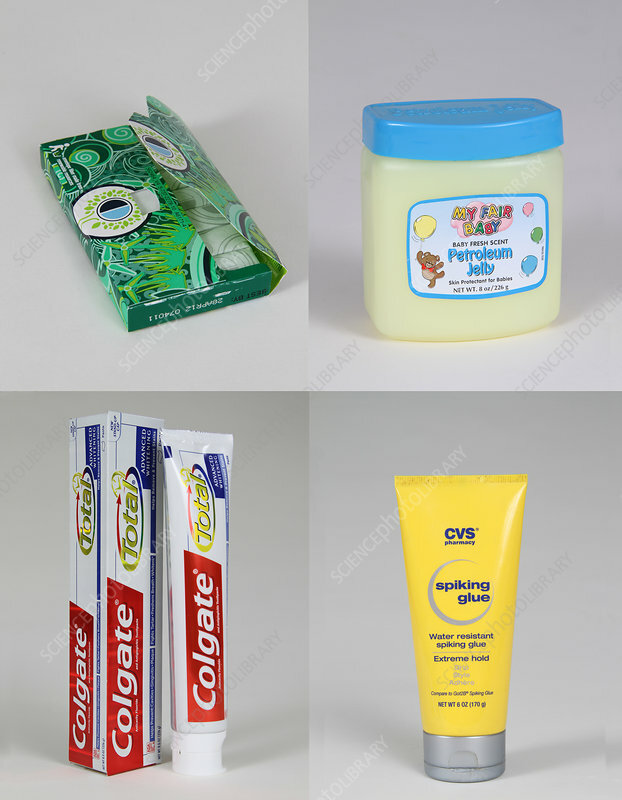 For example, certain types of toothpaste contains synthetic dyes produced from petroleum, certain chewing gums contain an artificial additive found in petroleum jelly and jet fuel, and some hair gels contain a purified mixture of semisolid hydrocarbons obtained from petroleum.